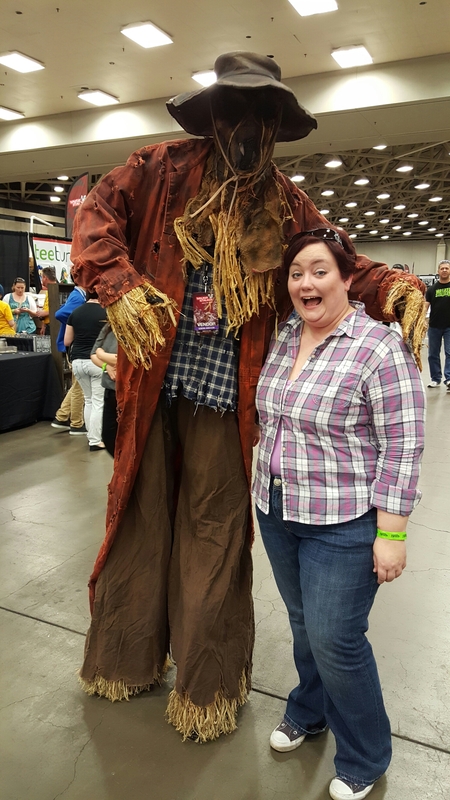 I got to the show and meet up with my friend and her husband. 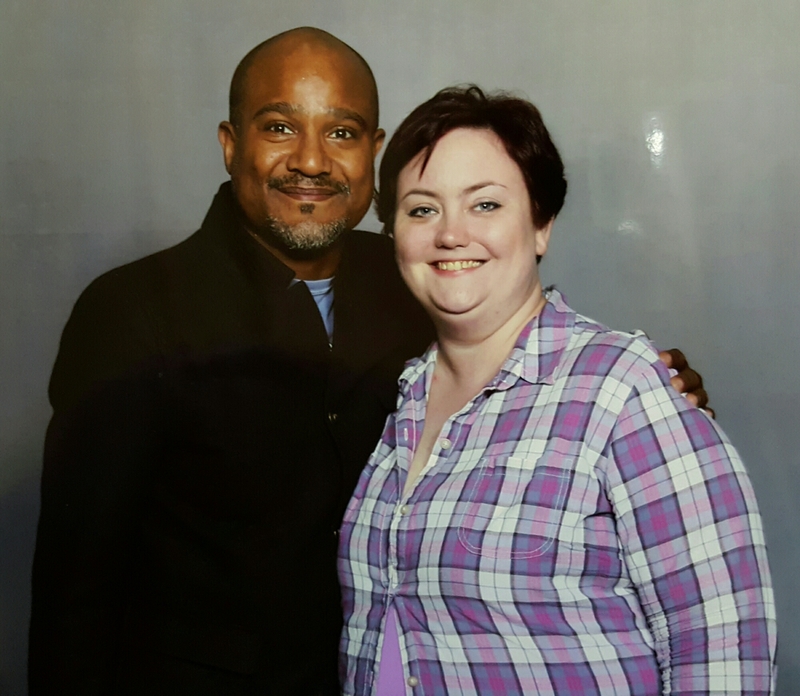 I beelined to meet Seth Gilliam [Dr. Deaton on Teen Wolf and Gabriel on the Walking Dead]. 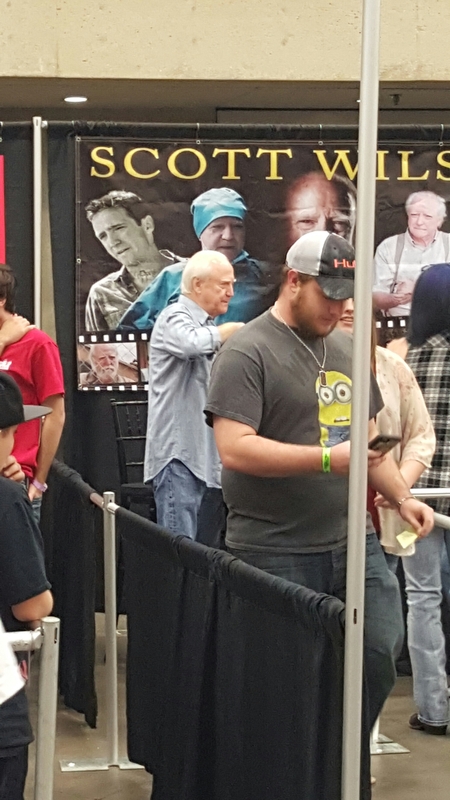 He was SO nice and just was so easy to talk with… Then we went around and the line for both “Glenn” and “Hershel” was so long…I did get a snap shot of Scott Wilson a.k.a. Hershel [see below]. 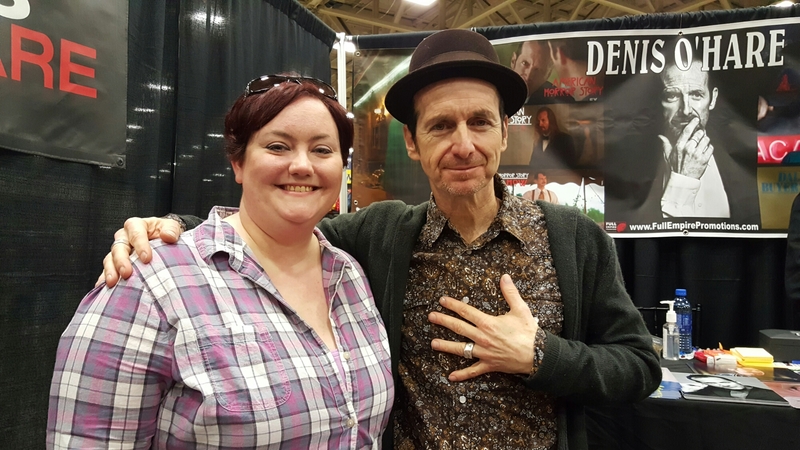 We continued to walk around and we ran into Cecil Ricks… [this guy won a Rick lookalike contest and man did he look like him] my friends took a photo with him. I then after our photo caught the last of a panel with Michael Rooker [Merle Dixon]. 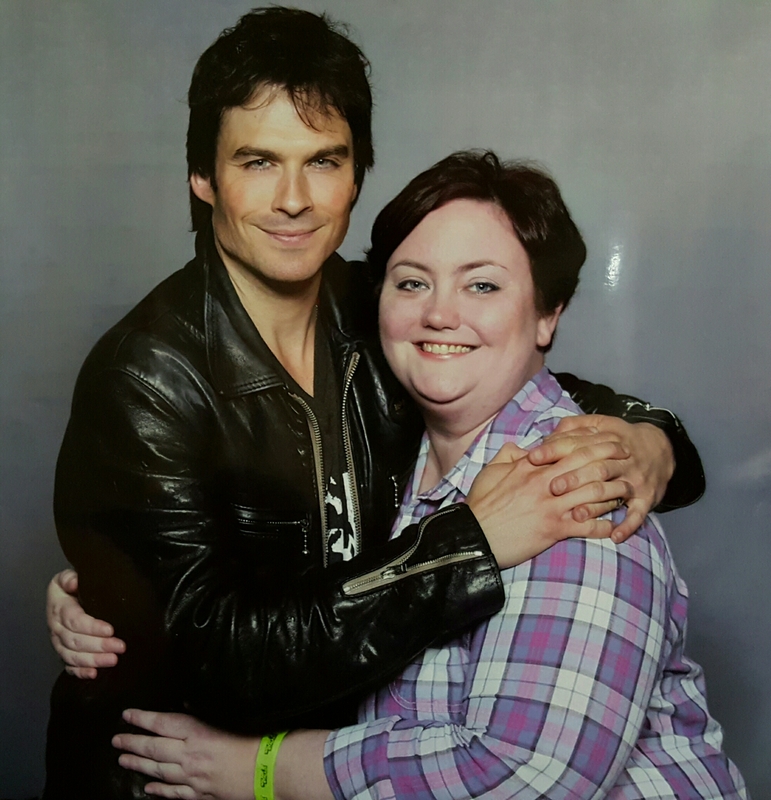 He was absolutely a riot! 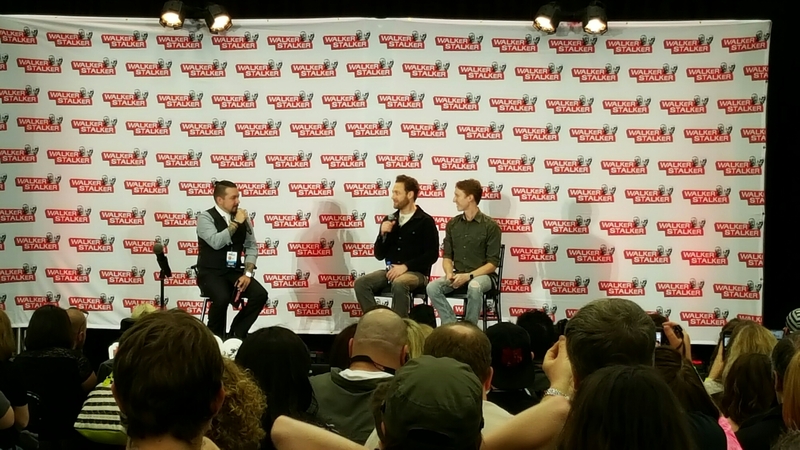 My favorite part of the panel was when this little kid asked him why he cut off his hand rather than cutting the pipe? He tried to reason with the kid but the kid just kept going on all the other things he could have cut through rather than his hand…to the point Michael asked the kid if he was “still arguing with me? Did your Dad put you up to this?” Lmao! 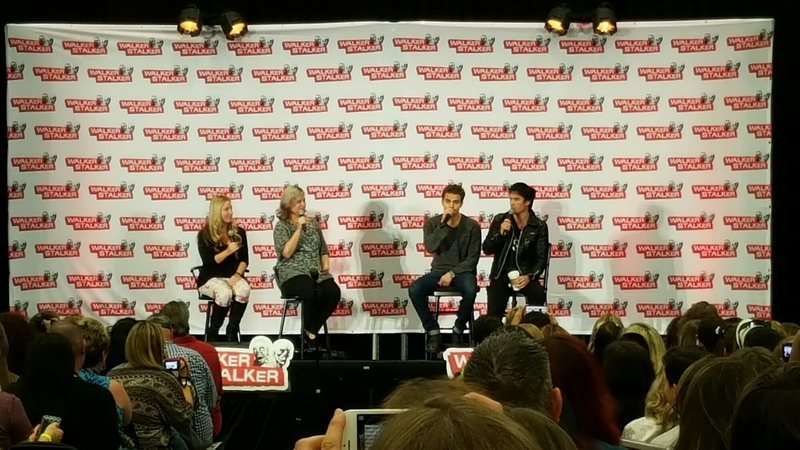 Then I rushed over to the Vampire Diaries panel… and I got to see the whole thing…I was pretty far back but it was worth it. 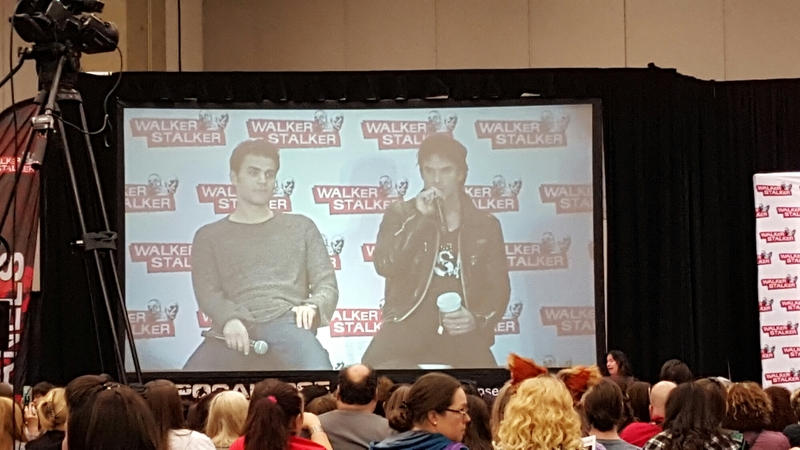 One of my favorite parts was when they kept getting asked what they would do if a Zombie apocalypse being Damon and Stephan… they were like they would be ok and aren’t Zombies slow? What if they couldn’t survive on Zombie blood? 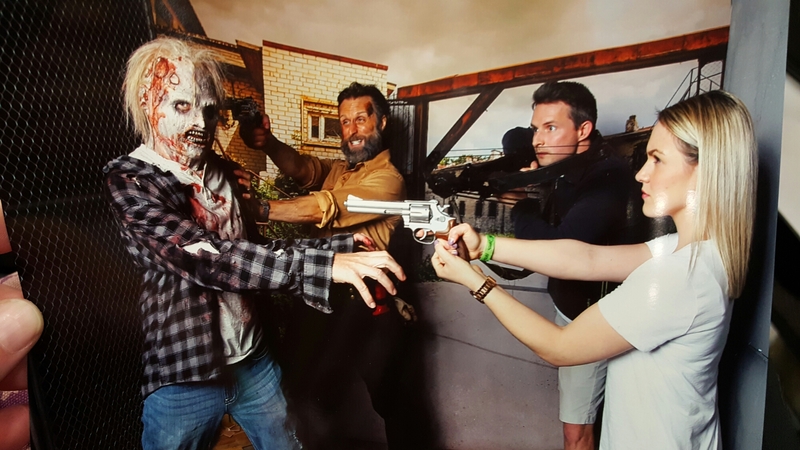 Then they would be okay and they would just play games and knock over the Zombies… then someone asked who of the Winchester’s would they want to kill them? They both were like who? [I might have been a little loud in my voicing of come on guys the Winchesters! Dean and Sam] Then they got it and it was Paul who was like Jared is such a tall dude that every time he is around he is looking up to him….and he feels emasculated by him. 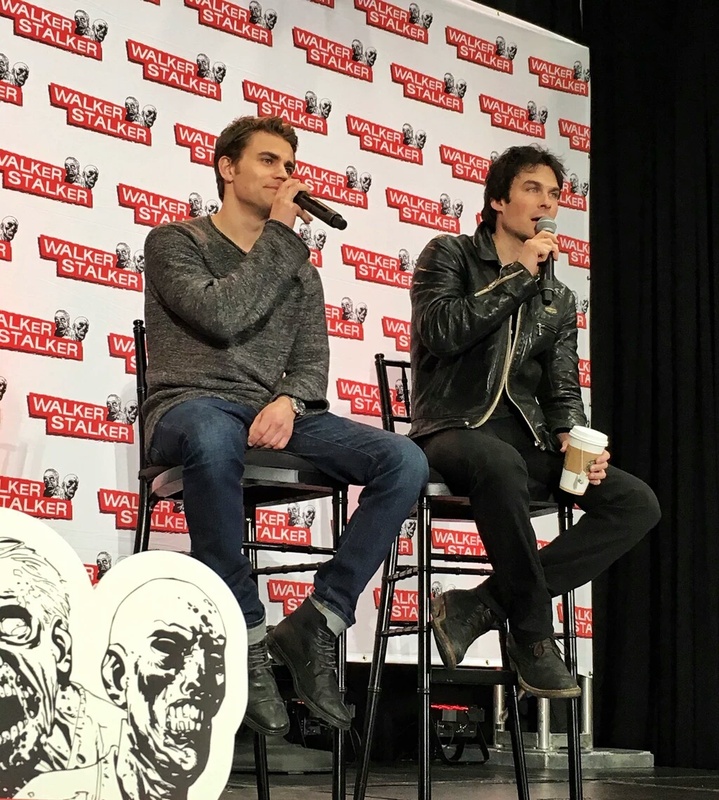 Then Paul was like Ian could have the pretty boy one and Ian agreed on Jared as well! Lol. After that last panel I left because I was famished. 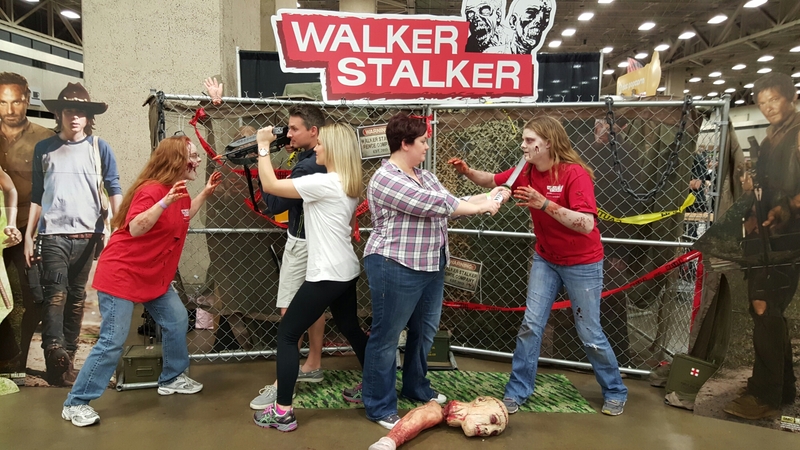 So that was my experience on this year’s Walker Stalker convention in Dallas!